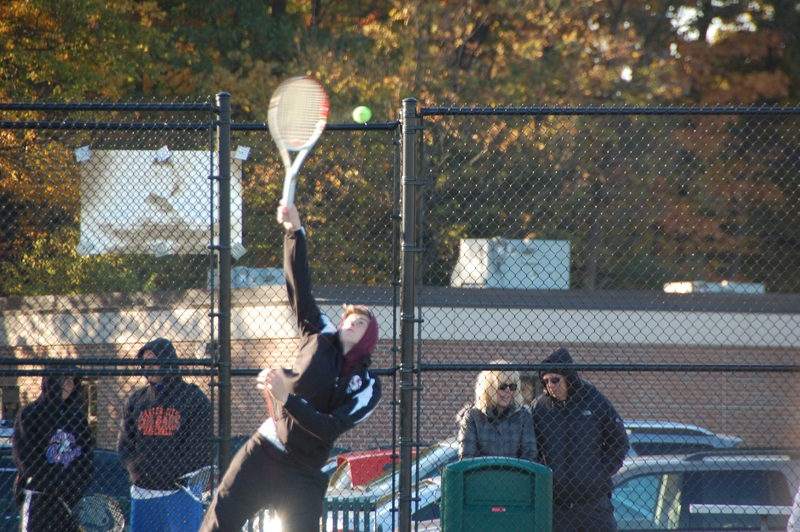 The Seaholm boy’s varsity tennis team finished their season placing fifth in the state at the Division 2 finals over the weekend. Standout performances by Zach Taylor and Griffin Neel helped secure the Maples top 5 finish. Taylor and Neel, the number two doubles team, beat Midland Dow, 6-4, 6-4 in the title match. Midland Dow won the state title, their fourth-straight. Grand Rapids Forest Hills Central, Portage Central, and Grand Rapids Forest Hills Northern rounded out the top five. The Maples entered the tournament on a roll, after winning the Regional Tournament last week. After a regular season loss to Groves, the Maples rebounded by beating their bitter rivals while also competing against the likes of Berkley, Dearborn-Divine Child, Detroit- Cody, and Dearborn Heights-Crestwood. “Our regional win marked yet another level in this teams recovery from last season’s abysmal campaign,” Head Coach Scott Ransome said. Flight champions included senior Alec Tropea in the No. 4 singles bracket while the Maples swept the field in the doubles bracket. The doubles pairs consisted of senior Jason Mondry and junior Ben McDermott, senior Zach Taylor and Sophomore Griffin Neal, senior Aaron Rosen and freshman Brendan Knight, and junior Alex Cross and freshman Will Geller. After going 5-0 in the regular season, it was important for the Maples to continue their run in the post season. “Zach Taylor and Griffin Neel were huge for us as they posted a key win for us in the doubles region,” Tropea said. The Maples ended the regular season as OAA White champions as well as 7th ranked in Division 2. Captained by Zach Taylor and Jason Mondry, the Maples posted key regular season wins against Avondale, Rochester, Lake Orion, Berkley, and Clarkston. The team posted impressive tournament showings at the Grosse Pointe North Classic, the Midland Dow Quad, University Liggett Invitational, Holly Invitational, and the North Farmington Invitational. Other key players include senior Paul Kassab, juniors Chris Breeden and No. 2 singles Kenji Johnston, sophomores No. 3 singles Rocko Giboult and Michael Trease, and freshman No. 1 single Zaven Dadian. “At the start of the season, our goals were to be competitive, win our league, win regionals, and be a strong all around team,” Rosen said.